We are hoping to buy our first home within the next 4/5 months so as usual I am on the look out for new beautiful homeward pieces. I actually can not remember what I have stored away (we are living we parents at the moment) so its hard to think of what colour themes I would like. So, I'm trying not to buy too much and just making up little wish lists so that when the time comes, I can go crazy. 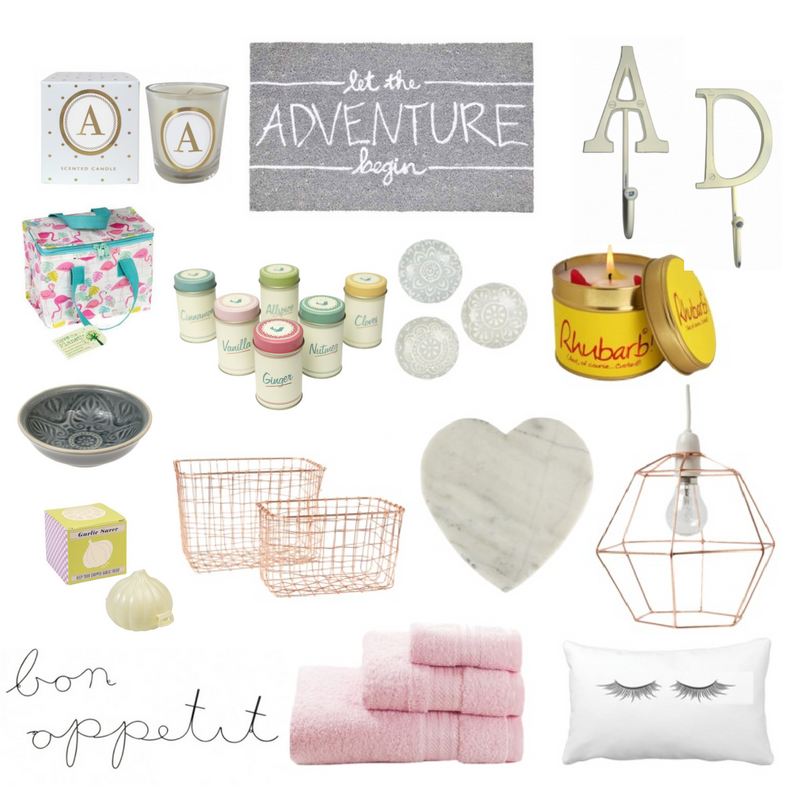 I love everything from Dot com gift shop, sass & Belle and Bombay Duck at the moment and this wishlist is dominated by them! I have made a cheeky little order from Dot com gift shop as they kindly gifted me a voucher to use so Im sure a few pieces will be featured on the blog pretty soon. What are your favourite sites from homeward shopping?